Welcome to the homepage of the 8th Working Conference on Mining Software Repositories! The MSR conference is sponsored by ACM SIGSOFT and IEEE TCSE. The proceedings will be published by ACM and included in its digital libraries. The Springer journal Empirical Software Engineering will publish a special issue on MSR 2011. The prize (Xbox with Kinect) for the Mining Challenge has been sponsored by Microsoft Research. The paper titled "How Developers Use the Dynamic Features of Programming Languages: the Case of Smalltalk" by Oscar Callaú, Romain Robbes, Éric Tanter and David Röthlisberger was selected as the best paper of MSR'11. The final MSR program is now available. Final day for early registration. Register today. We look forward to seeing you in Hawaii! The MSR program is now available. We have an exciting program this year with 2 keynote speakers, five full paper sessions, a short paper session and a challenge session. The MSR notifications have been sent. Congratulations to all accepted authors. Acceptance rate has been 32.8% for full papers and 35.3% for short papers. We are looking forward to seeing you in Hawaii! Jon Eyolfson, Lin Tan and Patrick Lam. Do time of day and developer experience affect commit bugginess? Mario Luca Bernardi, Carmine Sementa, Quirino Zagarese, Damiano Distante and Massimiliano Di Penta. What Topics do Firefox and Chrome Contributors Discuss? Yukinao Hirata and Osamu Mizuno. Do Comments Explain Codes Adequately? Share your Data with PROMISE! This year, MSR has teamed with the PROMISE conference to manage storage of data from MSR 2011 papers. If you are able to so, we strongly encourage you to submit the data associated with your accepted paper to the PROMISE repository of reproducible SE experiments. By storing your data in a publicly accessible location, your papers will get cited more (since they will be the origin of a line of research based around your data). Also, by interacting with other researchers using your data, you may discover ways to enhance your analysis method (perhaps resulting in more publications, or novel grant opportunities, in the future). For information on how to donate data to PROMISE, see "How to donate data" at http://promisedata.org/?cat=11. It is our pleasure to announce the keynote speakers for MSR 2011 in Hawaii. Yuanyuan Zhou will talk about her tech-transfer experiences from copy-paste detection to checking for known bugs. Jim Whitehead will talk about computer games and opportunities for mining. Aloha! We have extended the submission deadline for the Mining Challenge to Sunday, February 20th. Submit your challenge papers for a chance to win an XBOX with Kinect! We are looking forward to your submissions. Please use EasyChair to submit your challenge papers. See you in Hawaii! We are looking forward to your submissions. Please use EasyChair to submit your abstracts and papers. See you in Hawaii! 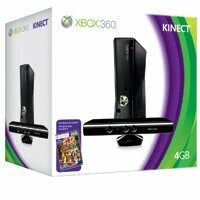 Mining Challenge: Win an XBOX with Kinect! Find out how to participate on the Mining Challenge web-page. The Xbox with Kinect is sponsored by Microsoft Research. Thanks!